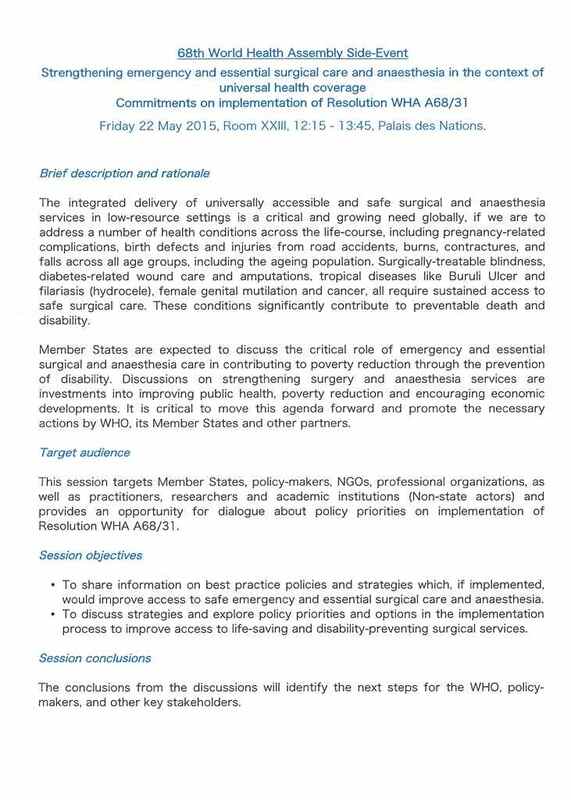 During the 68th World Health Assembly, SICOT supported the resolution on the universal access to emergency and essential surgical care. SICOT strongly supports the inclusion of surgical care, including orthopaedics, as an important component of universal health coverage. Surgical care should be integrated into each country’s national health plan. 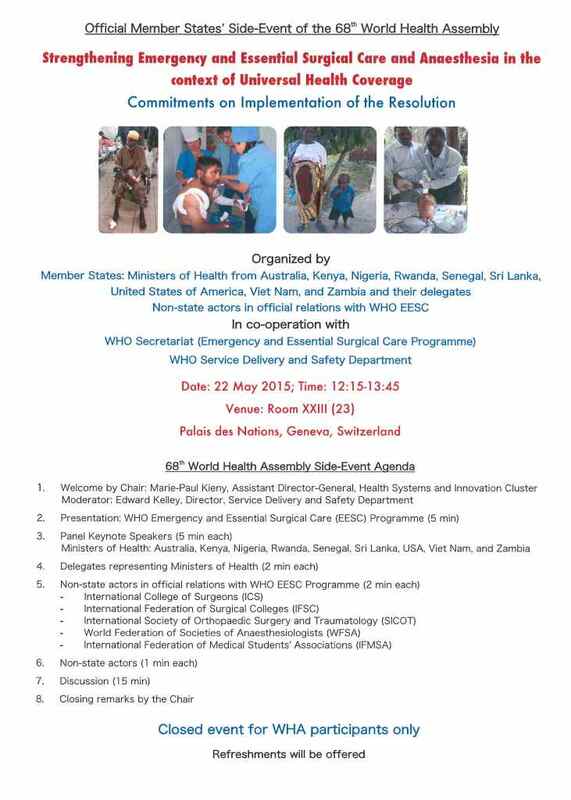 SICOT strongly supports the work of the World Health Organization’s Emergency and Essential Surgical Care Programme, in the Service Delivery and Safety Department, and believes that strengthening the delivery of surgical services, particularly at the district hospital level, is a cost-effective means to reduce the burden of surgical disease. The main reason for this support is that orthopaedic trauma is presently significantly under-evaluated as a socioeconomic cause of burden for the nations. According to WHO, the burden of road trauma comes in the third position after cardiovascular disease and tumors but, in the US from the National Trauma Data Bank, motor vehicle traffic-related injuries represent only 27% of the overall traumas in which falls represent 40%. In addition, the aging of the population will increase the present incidence of only hip fractures to 2 times in North America and up to 6 times in Asia during the following decades. A reduction of the gap in access to safe and timely orthopaedical surgical services will have a tremendous effect in decreasing the burden for the society and the personal handicap and morbidity for the individual.